Cindy began working at Juniata College in 2007 in the Development Office as the Development Office Assistant. In 2010, she became the Assistant to the EVP for Enrollment. In 2014, she was promoted to Director of Enrollment Operations. 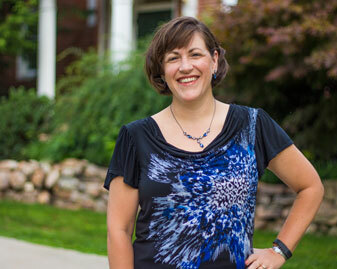 In 2017, she became the Director of Enrollment/Alumni Engagement. She has served on the Wellness Committee, been an Inbound Advisor, is a Steward of Diversity Representative and serving currently as a Co-Chair for the Stewards of Diversity, and for 6 years has been a sponsor for the Friendship Family program for international students. Her father was in the Air Force and her family had the opportunity to live in CA, TX, OK, SC, MD, AZ, OH, also in Okinawa, Japan and Berlin, Germany (right after the wall came down). She received her Associate in Arts degree from the University of Maryland and earned her Bachelor’s degree in Business Administration from Juniata College in May 2018. She has been inducted in the Tau Pi Phi Honor Society for business and the National Society of Leadership and Success.